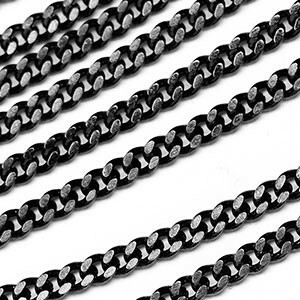 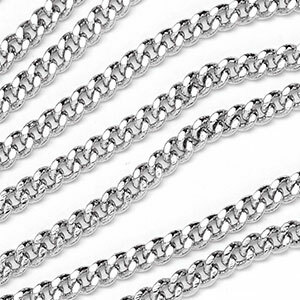 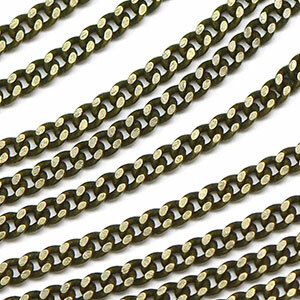 Classic curb style chain that is compact, yet strong for its size. 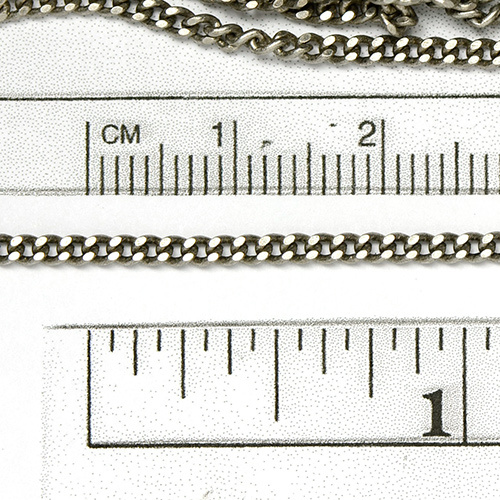 Links have a flattened sides and lays flat. 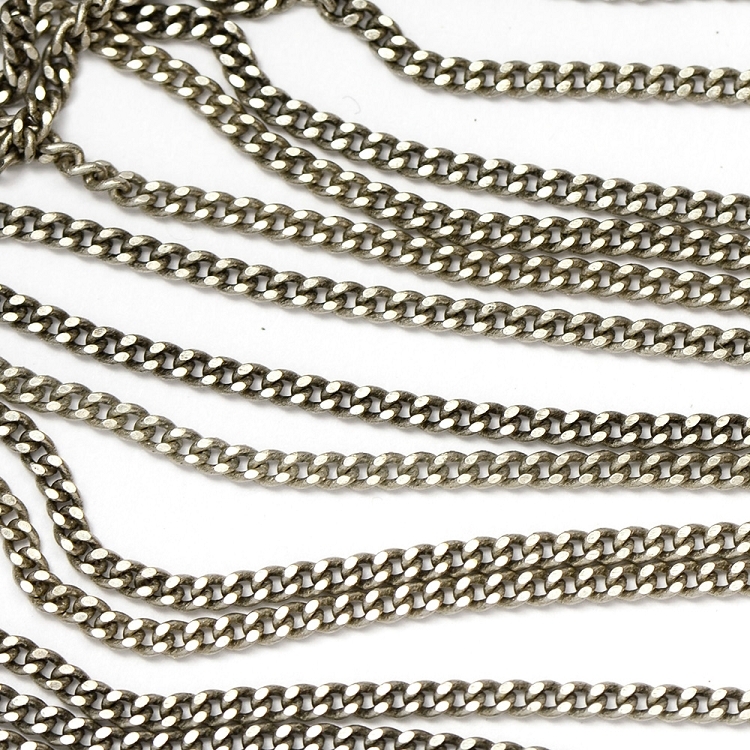 Great layering chain and looks great worn long.